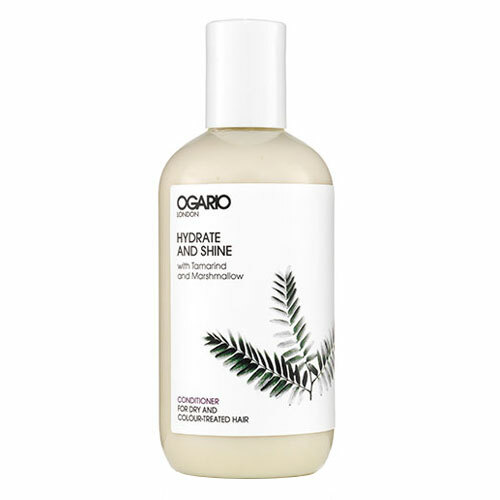 Tame unruly locks with the deeply moisturising Ogario London Hydrate and Shine Conditioner for dry or colour-treated hair, which leaves hair super-soft, smooth and glossy while helping prevent colour fade. A perfect natural partnership of tamarind and marshmallow hydrate, soften and smooth the hair for a high-gloss shine. Below are reviews of Ogario Hydrate and Shine Conditioner - 250ml by bodykind customers. If you have tried this product we'd love to hear what you think so please leave a review. I love this conditioner! It smells so nice, and leaves my hair soft, shiny and without a tacky residue. Tame unruly locks with the deeply moisturising Ogario London Hydrate and Shine Conditioner for dry or colour-treated hair, which leaves hair super-soft, smooth and glossy while helping prevent colour fade.